If you haven’t made any email marketing resolutions for 2015, fear not! We put some time aside these holidays [the rainy days, when we couldn’t get to the beach! LOL! – Ed] to brainstorm a few essential email marketing resolutions for the year ahead. If you have a few minutes, invest them in watching this presentation, it’s worth every minute! Have a great email marketing year! Excellent work that changes lives can’t be delivered within 48 hours. We know this isn’t something that can be controlled, but too often, middle-of-the-road work, half tested designs and average results are delivered due to time constraints as a result of poor planning. Resolve to MAKE the time. All parties involved must collaborate rather than revert. Together be brave enough to make the time, to fight for great ideas, for excellent implementation and quality digital execution for considerable results. 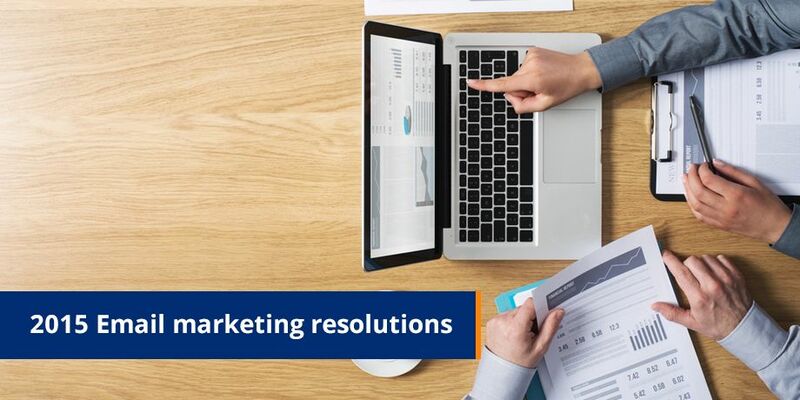 Sticking to these resolutions will no doubt get your email marketing off to a great start. Once you’ve ticked them off your list, you will have time to refocus your ‘it’s a new year’ energy on the more exciting stuff like motion in email, visual marketing, and sending email to wearables – we will cover these in our upcoming communications, so keep an eye on your inbox!